Easily explorable. Endlessly entertaining. Few places are as full of life as Victoria. Strongly tied to the land and sea, the oldest city in the Pacific Northwest proudly offers everything a friendly, exciting and welcoming destination should. Escape your everyday with scenic Inner Harbour strolls, centuries-old historical sites, superb local coastal cuisine, and a thriving arts and cultural scene. Victoria is the ideal year-round playground for outdoor adventure enthusiasts, and a warm, welcoming and multicultural city. Welcome to a year-round centre of celebration. Enjoy over 100 annual festivals, exciting events and an eclectic mix of artistic, cultural and ethnic communities—not to mention superb scenery and ideal weather. 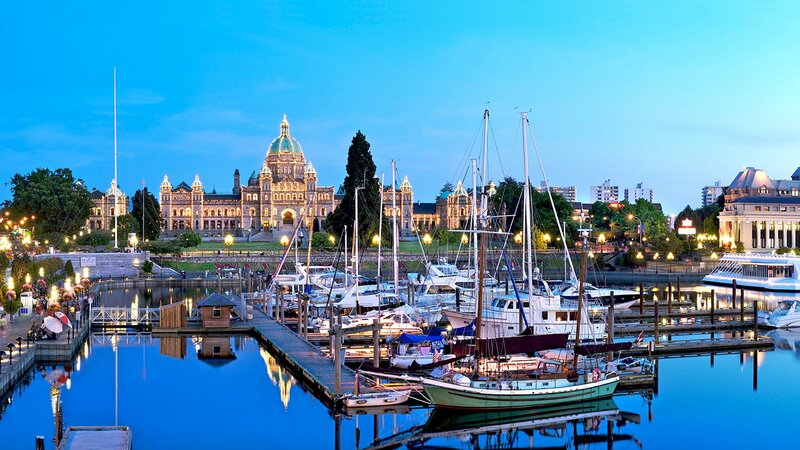 Victoria's relaxed pace, urban layout and side streets welcome window shopping and marathon sprees. Find quaint shops, local markets, unique boutiques, independent retailers and full shopping centres. Treat yourself. Victoria's naturally rejuvenating environment is full of life and renewal. Take a deep breath, be pampered and look and feel fantastic at one of several incredible spa destinations. As the gateway to the majestic and beautiful Vancouver Island—renowned as one of the best on earth—Victoria's just the beginning. Explore more with a guided tour of the city or beyond. Find endless possibilities for your perfect wedding in the City of Gardens—a proudly diverse destination surrounded by natural beauty, steeped in history and full of classic venues. Tour the famous Butchart Gardens, discover beautiful Craigdarroch Castle, and feel the pulse of Canada’s oldest Chinatown—truly a hidden gem. Or escape to the water with world-class whale watching, kayaking, fishing and sailing.